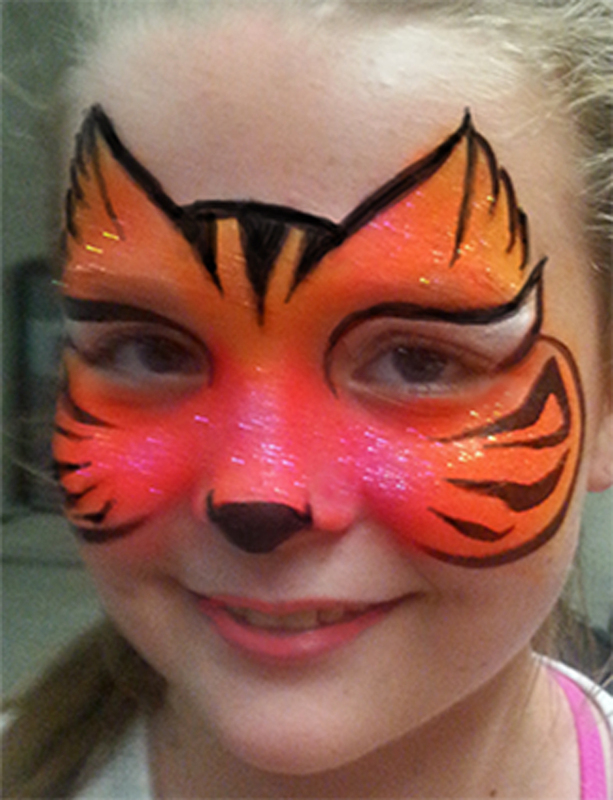 Who would have guessed a combination of , pink, orange paint, and glitter was the most popular request of the day. 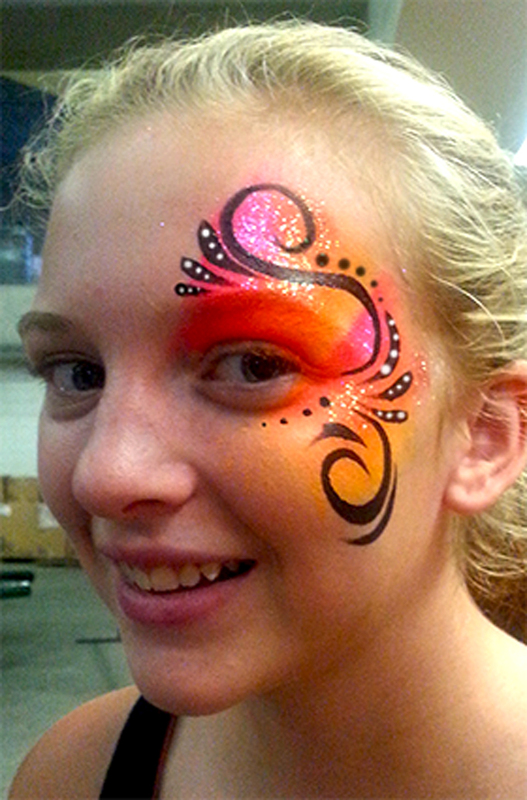 Even the teenagers enjoyed getting their faces painted with simple designs. I had the pleasure of working with a very talented team of painters at the Bengals Family Day. What a day the Bengals Stadium put on for the community for free. The Bengals team should be very encouraged by the turn out from the community.